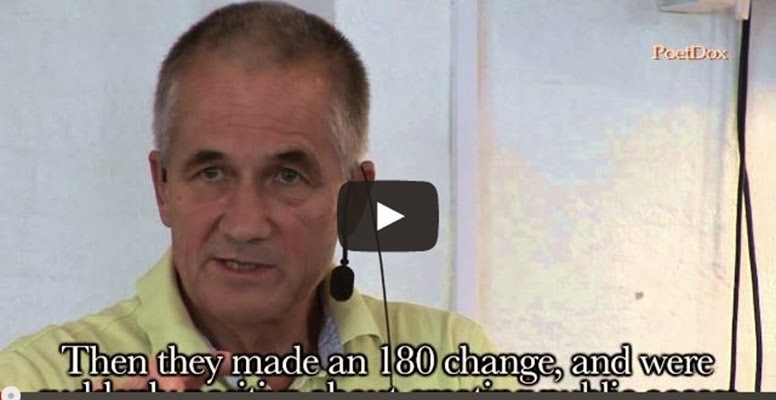 In this video filmed October 3, 2013, Peter C. Gotzsche informs his audience in Helsingor, Denmark, of many of the "gangster" methods used by the pharmaceutical industry to push their pills for profits with zero regard for human life. He talks about how criteria for diagnosing various diseases has eroded for decades, now allowing physicians, for example, to diagnose a widower with depression after only two weeks of normal mourning. He also cites statistics, stating that one popular antidepressant caused 50% of patients to develop sexual problems, as opposed to the 5% risk claimed by Big Pharma. Gotzsche goes on to address other atrocities in the pharmaceutical industry, many of which he also writes about in his book, Deadly Medicines and Organised Crime: How Big Pharma has Corrupted Healthcare. Watch this informative video and be sure to look for his book in stores or online! From YouTube description: Prescription drugs are the third leading cause of death after heart disease and cancer. In his latest ground-breaking book, Peter C. Gotzsche exposes the pharmaceutical industries and their charade of fraudulent behavior, both in research and marketing where the morally repugnant disregard for human lives is the norm. He convincingly draws close comparisons with the tobacco conglomerates, revealing the extraordinary truth behind efforts to confuse and distract the public and their politicians. The book addresses, in evidence-based detail, an extraordinary system failure caused by widespread crime, corruption, bribery and impotent drug regulation in need of radical reforms.